Burroughs’ Battery was started in 2004 with a single cannon and limber and members with a love of history. We have grown tremendously and now have members in ten states, 5 cannons, 4 limbers, 3 caissons a battery wagon and traveling forge. We have 10 horses complete with saddles and other tack. 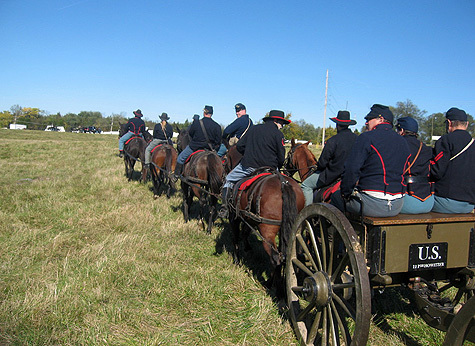 We are one of only a half dozen groups that do horse drawn artillery and maybe 12 groups in the entire world including governmental and private organizations. 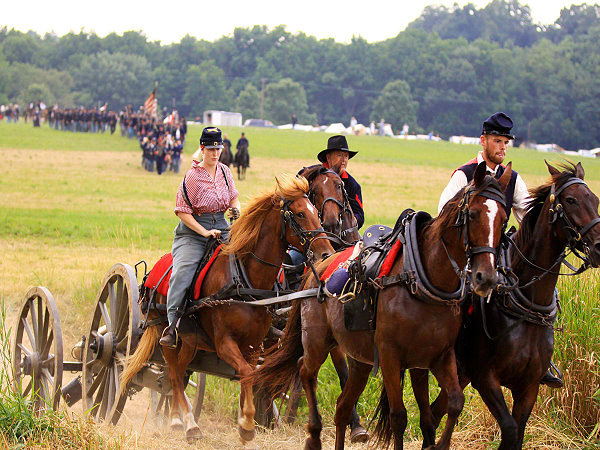 We have attended various Civil War reenactments including the 150th Cycle’ 1st Manassas, Shiloh, Perryville, Antietam, Gettysburg, Cedar Creek and Appomattox. Several of these reenactments had over 10,000 participants. 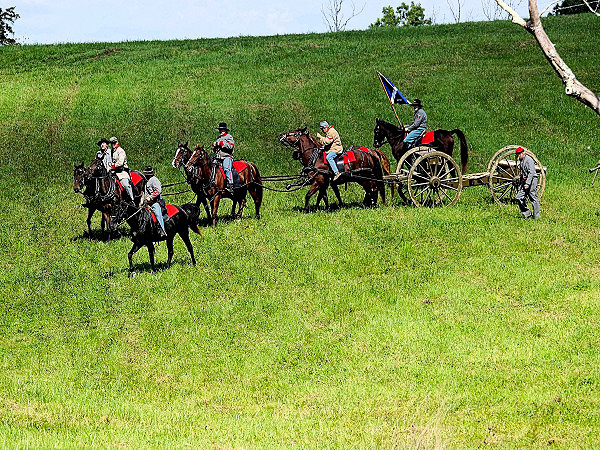 We had our horses and guns in the field for the 1st and last major 150th cycle! 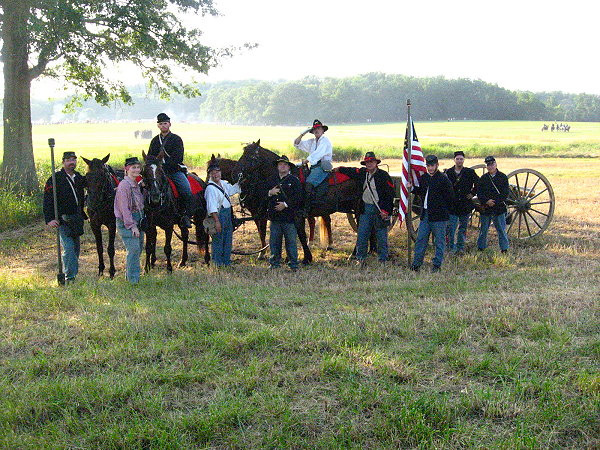 We intend to continue supporting quality Civil War reenactments and living history programs. We plan to attend Morgan’s raid next fall where we will move 50+ miles in 4 days across southern Ohio. We have also provided horses and caissons to veteran’s funerals and participated in various parades and ceremonies with horses and cannons. We also live fire our artillery. We have attended various events and fired both rifled and smooth bore cannon at ranges out to 3500 yards! We have shot up lots of things, cars, refrigerators, and targets. We have even hit a newspaper at 1000 yards with our Blakely and Parrott rifles, open sights. We have conducted experiments firing at life sized silhouette targets with canister, scientifically recording the results in published articles. There are thousands of reenacting groups in the US. There are hundreds of artillery groups. There are dozens of artillery groups that live fire cannons, there are a half dozen that do horse drawn artillery. 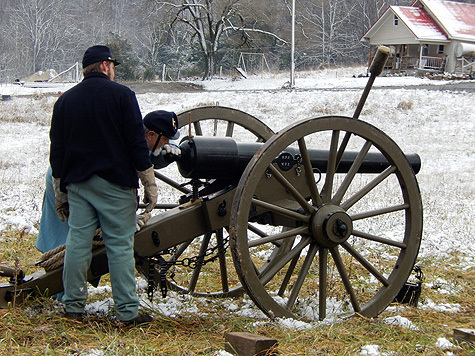 Burroughs’ Battery is the only living history organization in the country that does all of these things, horse drawn artillery and live fires at real distances with full service charges, with real ammunition.